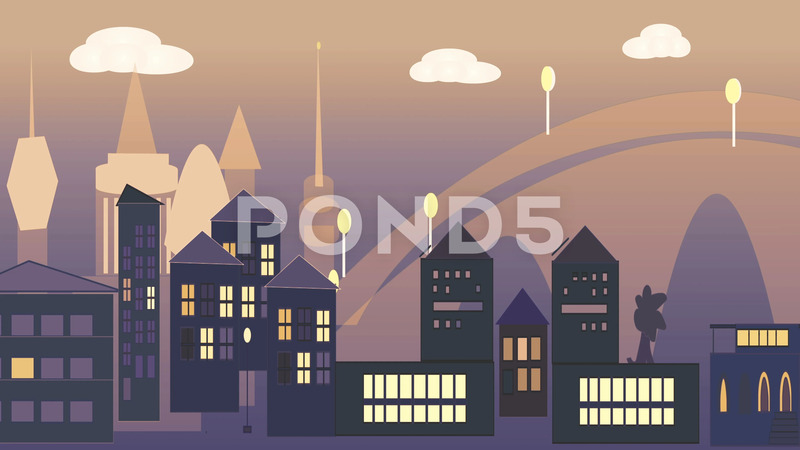 Cityscape Animation,center - Camera Pan Along Buildings, Skyscrapers, Houses. Description: Cityscape animation - city business center - camera pan along buildings, skyscrapers, houses. Morning or evening. Animation, cartoon style. Sunset violet and yellow light.